Autosomal recessive bestrophinopathy (ARB) is an inherited retinal disease which causes losses in central vision. New insights are given in an article published by Dr Shinji Ueno and other medical researchers at the Nagoya University Graduate School of Medicine, Japan. 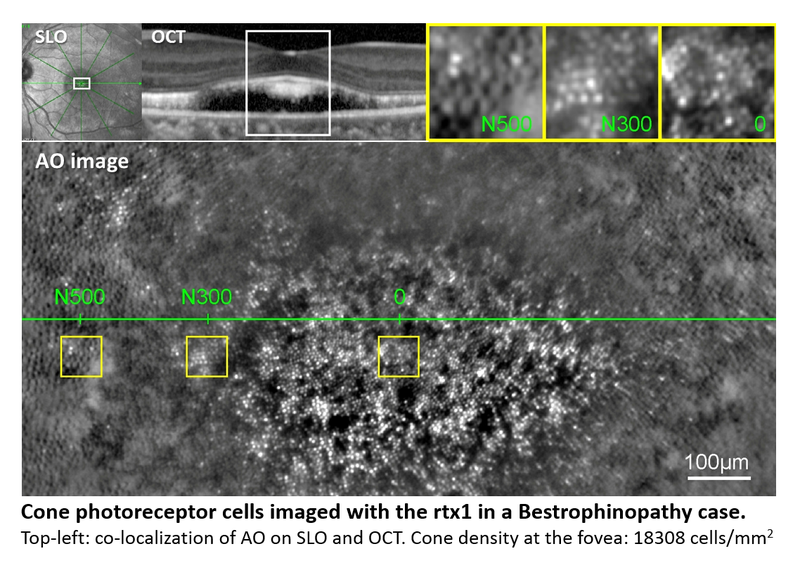 They report that the rtx1 Adaptive Optics Retinal Camera revealed significant abnormalities in retinal photoreceptor cells in 5 patients with ARB. Cone cell density was markedly reduced compared to healthy controls, even in patients whose visual acuity was good at the time of examination (BCVA> 20/25).